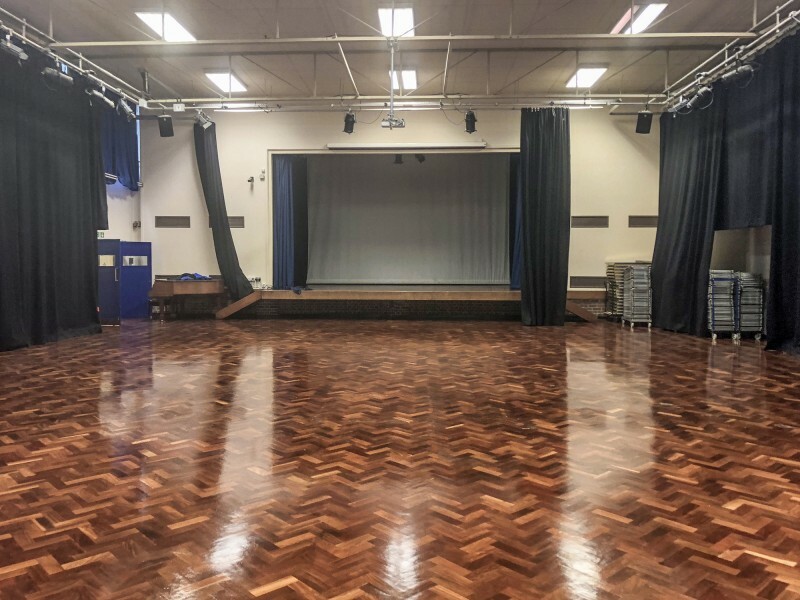 Our Main hall with a capacity of 300 people, has a Wooden sprung floor and stage making it perfect for Drama, dancing, presentations and shows. 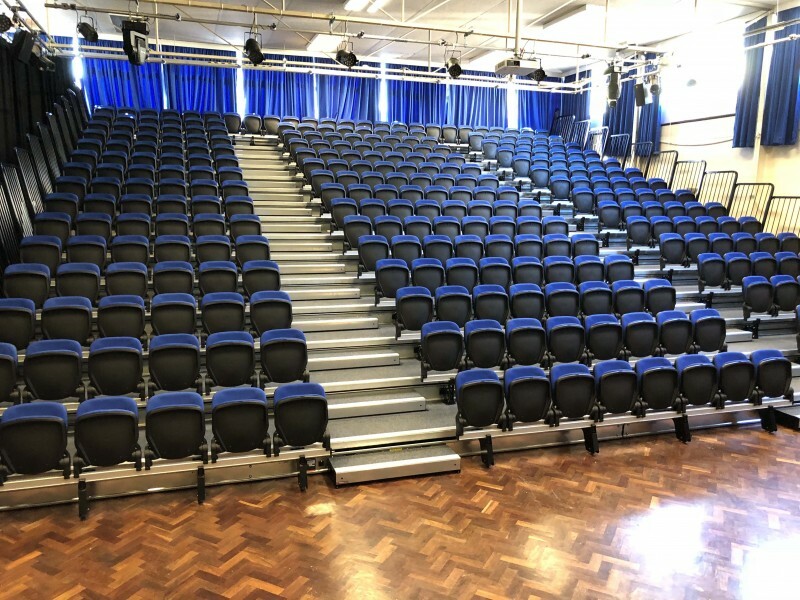 We also have brand new retractable, tiered, seating for 300 making the hall into an amazing auditorium. 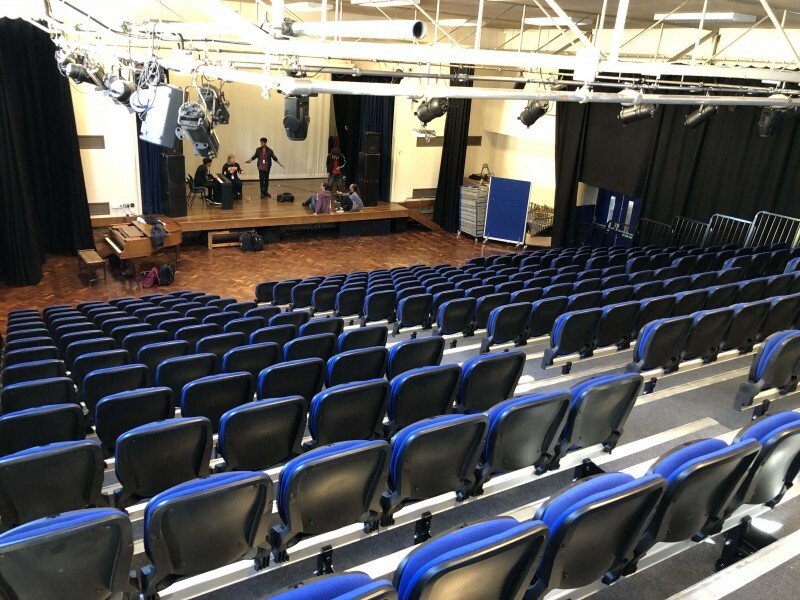 The tables and chairs, Computer, OHP, stage lighting and sound system are all available to use. There have been 0 reviews of Woodhouse College Main Hall. If you would like to send Woodhouse College Main Hall a booking enquiry, please fill in the form below and click 'send'. Perhaps some of the following halls within 5 miles of Woodhouse College Main Hall would also be of interest?